Made a little progress in the halberdiers the past two nights. The minis -- FWIW -- are a mix of Grenadier & Front Rank, with one (I believe) old Citadel Fighter in the mix. Although the Jackrabbit Trading company is known for its leader and the large number of halflings in its employ, the Small Country was home to human farmsteads and villages long before the hobbits settled in the area. The two have mutually thrived in the region together. The JTC is no exception, and does not discriminate in its recruiting. Almost half of their payroll are human. I spent far more time this weekend working around the house & yard. While I had a stepladder in the garage, I decided to check in on my gaming tables. I haven't looked at them since I stuck them in the rafters when we moved two years ago. They appear to be in good condition, thankfully. I'd still like to use them someday, and I had some concern that the some sort of vermin may have gotten to them. 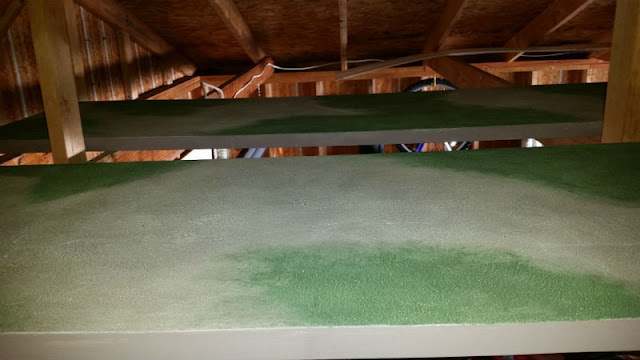 Since we've moved here, it's been a bit of a battle against various insects, rodents, birds, and other critters -- plus struggles with moisture, mold & mildew - especially in the cellar where my painting table is currently located. I think I deleted the later update accidentally. Plus I've made more progress. 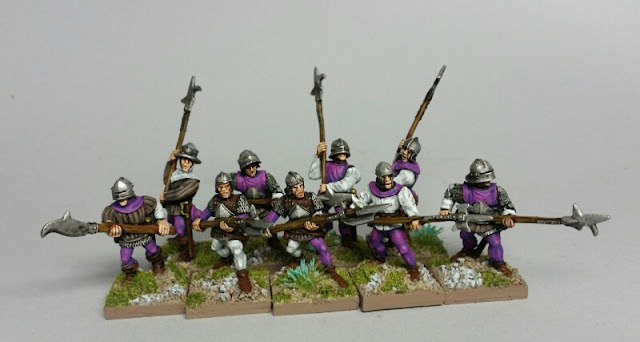 So.... even more painted halberdiers! Those tables are calling out for a game. Lovely halberdiers - the tables look like they’ve survived well. Just piling on. The halberdiers are coming along nicely and the tales look like they are doing just fine. I also want to clean out my garage for gaming space. I've set it as a goal for this summer.